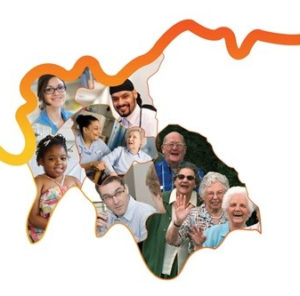 The South West London Academic Health and Social Care System was a membership network comprising the organisations which provide and commission health and social care for the 1.3 million residents of Croydon, Kingston, Merton, Richmond, Sutton and Wandsworth – together with the three universities of St George’s, University of London, Kingston University London and University of Roehampton. The System began in 2009 and integrated with the Health Innovation Network on 1st April 2017. During that time it was involved in 48 projects, sponsored 19 large projects and awarded 57 Small Grants.